It is a convenient technique to use liquid culture in plant research for generating bulk tissue, liquid culture makes it impossible to the study of root hair development and root system architecture. Plant tissues need to span in three-dimensional space for growth and differentiation. The Gel Strength and the transmittance of this product could be adjusted subject to customer’s actual application. 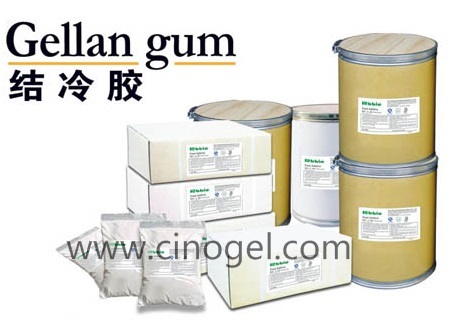 Low acyl gellan gum is ideal for using in Plant Tissue Culture Medium application and Micro-Organism Tissue Culture. It is widely used in tissue culture labs and is a desired alternative to to Agar. To avoid bubbles during application, the Nitrogen item and Protein item should be carefully controlled. In order to get a clear gel for a better obversation of Plants Growing, the transparency data for this type of gellan gum is very important. Very high transparency (90%) and brittle gels texture; the gels formed by Gellan Gum LA is heat irreversable. Regular recommended dosage is 0.015%-0.4% subject to different application. To disperse the product without lumps:Premix the powder with the other dry ingredients, and pour the preparation into the liquid under efficient stirring. Continue stirring to obtain a complete dispersion.or, disperse it in a non-solvent medium (oil or others). The dissolution of the product depends on the medium and the process: it is improved by heat treatment(time, temperature), shear stress(stirrer, homogenizer). A complete dissolution can be rapidly obtained by boiling for 5-10min or at around 85-90℃ for 10-15min with sequestrants.